"For many years, Qualcomm has unfairly insisted on charging royalties for technologies they have nothing to do with," California-based Apple said in the statement. "Qualcomm built its business on older, legacy, standards but reinforces its dominance through exclusionary tactics and excessive royalties." 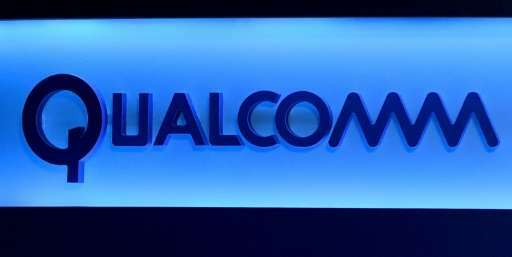 Qualcomm, also based in California, told AFP that it had not seen the legal complaints but that a press release from a Beijing court said one of the filings accused the company of violating China's anti-monopoly law. The other asked for a determination regarding terms of a patent license agreement, the company said. "These filings by Apple's Chinese subsidiary are just part of Apple's efforts to find ways to pay less for Qualcomm's technology," Qualcomm general counsel Don Rosenberg said in a statement. Tech giant Apple said in the US court filing that it has been overcharged "billions of dollars" by its chipmaking partner's "illegal scheme." The company also claimed Qualcomm owes it a billion dollars but is refusing to pay in retaliation for Apple's cooperation with South Korean antitrust regulators looking into the chipmaker's actions in that country. South Korea's anti-trust watchdog last month slapped Qualcomm with a record fine over $850 million for abusing its dominant market position as a maker of baseband chipsets used in mobile phones. "Apple has been actively encouraging regulatory attacks on Qualcomm's business in various jurisdictions around the world... by misrepresenting facts and withholding information," Rosenberg said in an earlier statement. Apple noted in the US suit that Qualcomm's business practices have come under scrutiny by antitrust regulators in an array of countries for selling its smartphone chipsets only to makers agreeing to its "preferred license terms" for essential mobile telecom patents. Apple's legal complaints in China and California argue that Qualcomm should only be able to charge royalties on the prices of modem chips and not on what is paid for smartphones, Aberle said Wednesday during an earnings call with analysts. He contended that the positon was at odds with longstanding industry practice. "Apple's complaint contains a lot of assertions, but in the end, this is a commercial dispute over the price of intellectual property," Qualcomm chief executive Steve Mollenkopf said on the earnings call. "We intend to remain a good supplier to Apple even while this dispute continues."